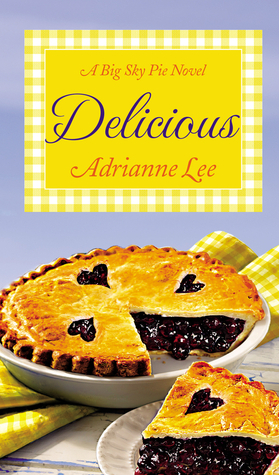 The story opens up with Jane delivering pies she made from her new job as pastry chef to the party of her mother’s to announce who she is going to marry. She is not happy that her mom is going to get married for what she thinks or feels like is the 7th time. When she arrives there with her arms full she runs into a good looking man who holds the elevator for and helps her with the pies when the doors open. When is in the kitchen and thanking the man she is trying to stare at how good looking he is when a familiar voice shouts hi Nickey, she knows that voice as Romeo, her former step father, so now the man standing next to her is Nick Taziano or the Tazmanian Devil. Her once step brother, her mother showed up and said her name but she bolted and left the event and did not speak to her mother for a day, she had to wrap her head around all that was happening. As for not wanting to see Nick, that would be more of a problem. He was a photographer and into advertising. He was hired by a new pie shop in town to do the lay and marketing plan. The pie shop was the one where Jane is the pastry chef her dream job, and everyone in town loves her pies especially the blueberry. The story goes along with them at first wanting to stop their parents from marrying again, but the more they dig into the past they are believing that since they were both so young that maybe they are the ones that broke up the marriage the first time. The more people Jane asks she is getting that feeling. Meanwhile they begin to spend some time together and realize that they have feelings for each other. The way this plays out is too good to spoil you must read the story. There are a few twists at the end and a surprised. For me this was a surprised story of lost love and new and can you go back. A very well written story and I liked all of the characters. A very good book. I got this book from net galley.